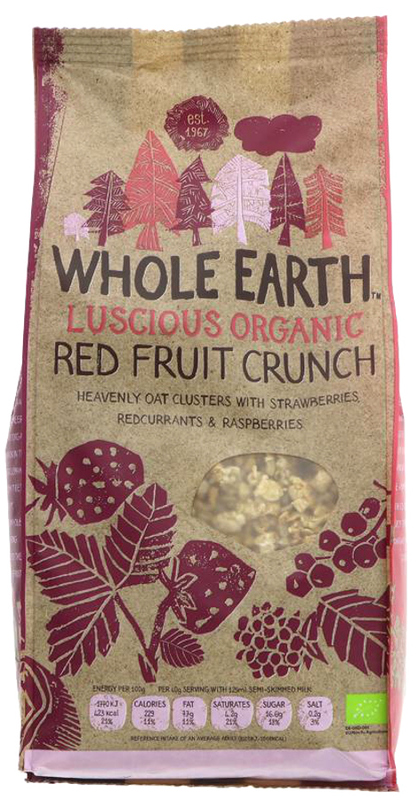 These delicious clusters of organic oats with strawberries, redcurrants and raspberries from Whole Earth make the perfect cereal for fruit lovers. Totally free from artificial additives, preservatives and flavourings, and with 3% red fruits, this scrumptious Red Fruit Crunch is an indulgent and yummy way to start your day! 450g. The Whole Earth Organic Red Fruit Crunch 450g product ethics are indicated below. To learn more about these product ethics and to see related products, follow the links below. Nice breakfast cereals, makes a change from the normal product in the shops. Will recommend to family and work colleagues. Very good quality - very fruity. Improved packaging. I bought them for a friend, and have had no complaints so far. 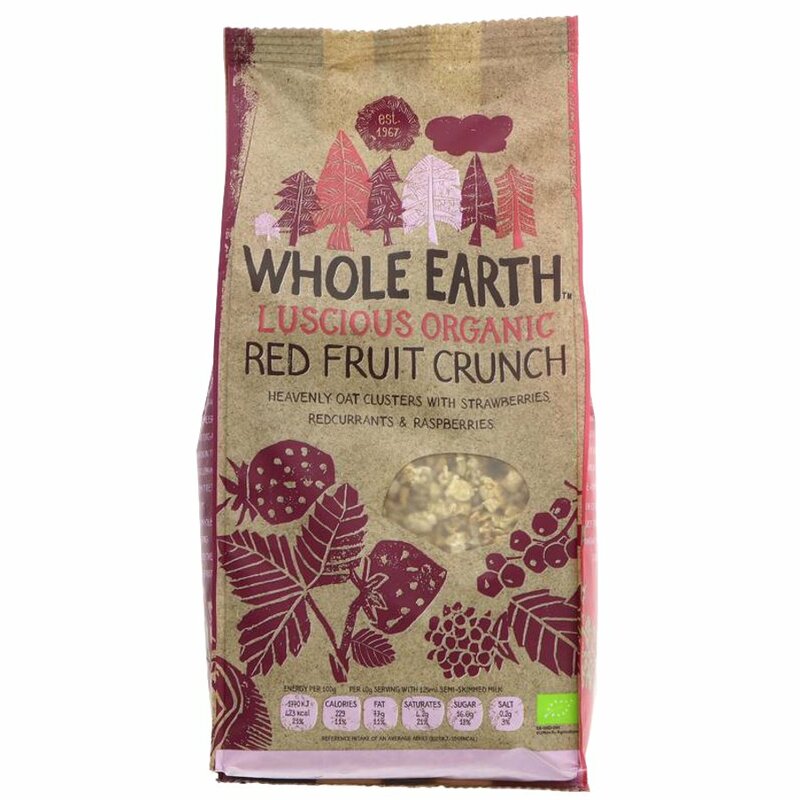 There are currently no questions to display about Whole Earth Organic Red Fruit Crunch 450g. Whole Earth produce natural, healthier organic food, free from artificial ingredients and packed with goodness. Whole Earth were one of the first pioneers of organic food, started in the 1960s and began by making organic whole peanut butter and real fruit spreads (with no added sugar). You'll now find the Whole Earth stamp of organic quality on various foods from cereals to sparkling fruit drinks, coffee to baked beans and ketchup.